An episode of major depression, often simply referred to as depression is more than just the sad mood most people might experience when they have had a bad day. Major depression is a medical disorder that lasts at least two weeks and produces a combination of physical and emotional symptoms that make it very difficult to function in life (see Table 2.1 for more details). 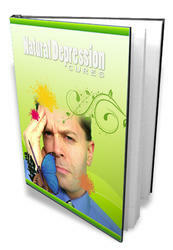 At the heart of clinical depression is a loss of pleasure in activities that used to be fun or exciting. Also, people often have feelings of sadness, hopelessness, and pessimism. These symptoms are accompanied by a wide variety of physical symptoms such as difficulty sleeping, poor concentration and memory, low energy, and change in appetite. Not everyone will experience all of these physical symptoms. For example, someone may have problems with their sleep and feel low in energy but their appetite may remain normal. Depression also changes the way a person thinks about the world. For example, it is not uncommon for people who are depressed to feel helpless and hopeless about their life situation, and, at times, people may feel that suicide is a rational alternative to their current situation (see Chapter 8). With time, it may be difficult to remember that depression is treatable.